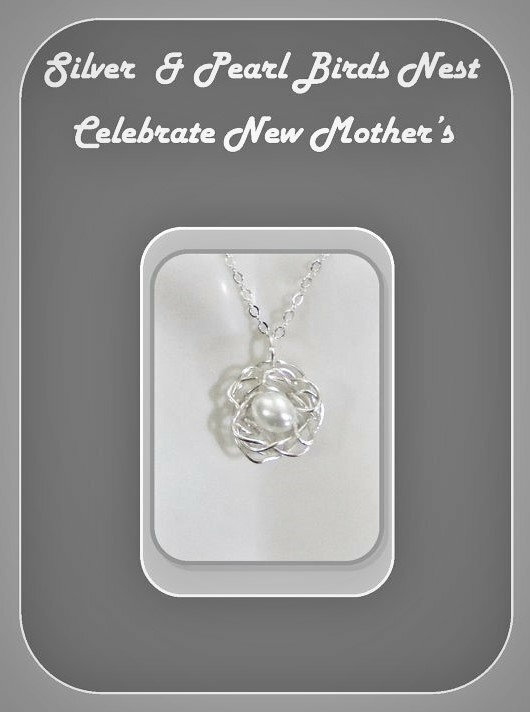 This Elegant Simply Beautiful Necklace is a Tribute to New Mothers! One large pearl, birds egg, represents a Mothers Nest with her One child inside! 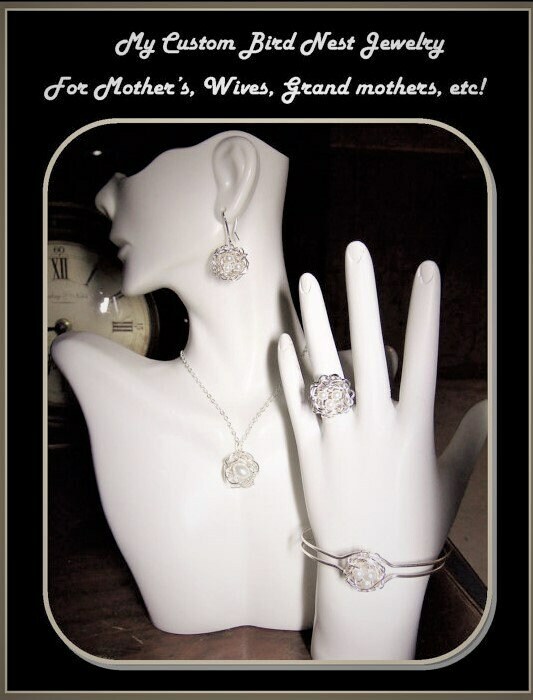 Also available with Birthstone Gems!